MARCUS SEDGWICK showed us a wonderful slidehow this morning about the creepy and crazy world inhabited by the characters from his Raven Mysteries series of books. Five lucky children were chosen to don wigs, mustaches and bunny ears to act out a chapter from the book! Fantastic fun. 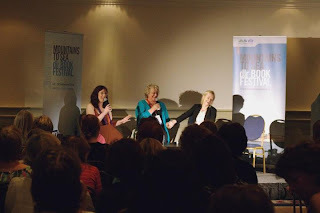 Back in the Kingston Hotel at the Passion for Books event KATIE FFORDE, CATHY KELLY, SINEAD MORIARTY, SARAH WEBB & MARITA CONLON-MCKENNA were talking about their work with Vanessa O'Loughlin. 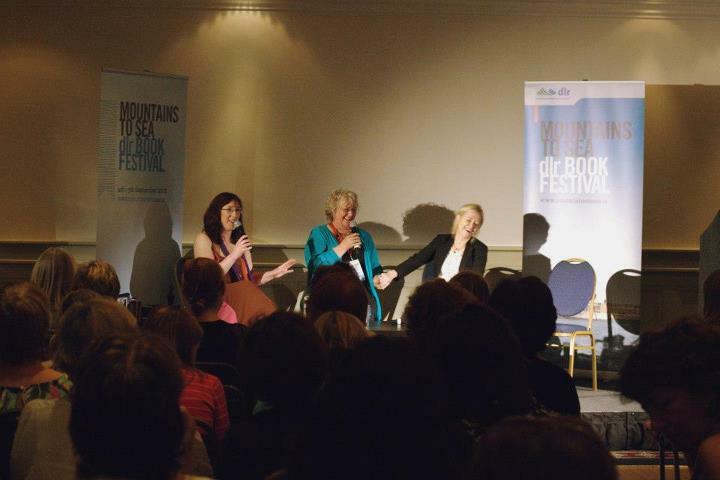 The evening ended with each writer talking about their favourite Maeve Binchy book, in a tribute to the Dalkey author who died in July this year. dlr Poetry Now got off to a fantastic start with JAMES FENTON giving the keynote address - introduced by Dr Philip Coleman. 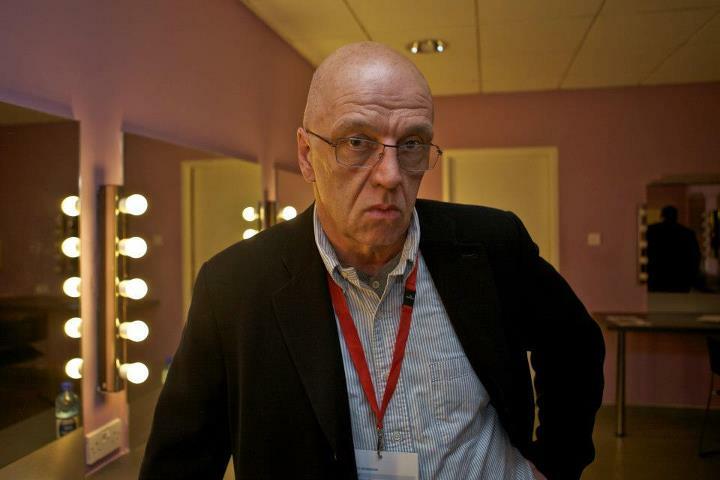 The title of his lecture was 'What are we going to do about the new Philip Larkin' in reference to The Complete Poems of Philip Larkin, a new edition which includes uncollected and unpublished poems. Fenton's talk encompassed the idea of a writers's collected work versus complete work (which is better for their posthumous reputation?) and of the 'judicious bonfire' in relation to curatation of the work of artists and writers after their death. He finished the evening by reading Larkin's poem Aubade. The final event of the evening was Tá na Mílte ag Seoladh Anonn (Thousands are Sailing) a unique poetry show featuring the work of Dónall Mac Amhlaigh read by Alan Titley; Mícheál Ó hAodha’s stunning debut Slán le hÉirinn; Rita Ann Higgins and a ‘rhyme essay’ that touches on themes of emigration and language; and Nessa O’Mahony’s acclaimed verse novel In Sight of Home. On in the Maritime Museum with a beautiful onscreen projections by Margaret Lonergan, and music by Colm Mac Con Iomaire of The Frames, this was a truly special night.